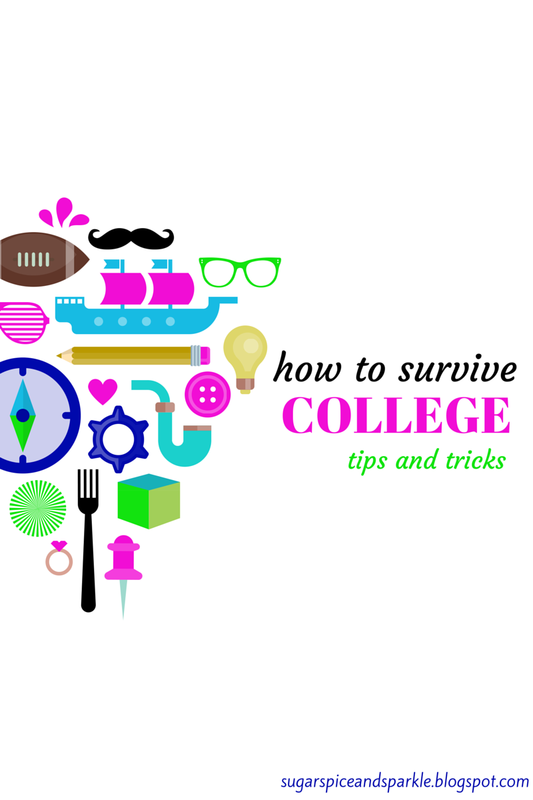 As the end of my (super) senior year is fast approaching I wanted to write a post about my college experience as well as provide a few tips and tricks for surviving! I realized this will be a crazy long post if I include everything so I have decided to split it up into several posts. This one will cover my time at college, on campus, in class. Here we go! If you aren't in college yet you may wonder what I meant by 'super' senior - it means I am in my 5th year of college! Yes, I am ready to be done! My degree program is a 10 semester program and I took a semester off to do an internship. So with the AP and dual enrollment credits I came in with it all ended up working back out to 10 semesters, or 5 years. Tip 1. Don't be afraid to change your plan. If you're like me then you have had your whole life planned out since you were 10. Well, college is kind of a weird place - its not the real world yet but it kind of is, and in the real world things don't go as you planned all the time so of course college is there to help get you used to that. After a lot of research I decided to switch to Industrial Engineering, something I had never heard of before. But I liked that it seemed to be a mix of business and engineering with a lot of human interaction (unlike computer programming). That same year (sophomore year) I got my first internship! I was really excited to get an internship so early in my college career and also that my boyfriend (now fiance) got the same internship! Let me know in the comments if you would like me to do some posts on relationships too. Now look back at the first tip - again I never thought I would take a semester off of school to work! Maybe I was just clueless, but at the time I didn't know that was something people did! A future post will go into more detail about internships. Let's back track a little so I can talk about the fun part of college - getting involved! I joined a professional fraternity (it is called a fraternity but it is for boys and girls). This was an amazing way to meet a bunch of other engineers! I also participated in events with SWE - society of women engineers. Tip 2. Find your niche. There are tons of cool clubs in college but I recommend getting involved in something specific to your major. That way you'll recognize people in your classes and have study buddies and people who can relate to your struggles! Tip 3. Put yourself out there. The great thing about going to a big school (mine has over 50,000 students) is that you are unlikely to see people again, unless you are making an effort to see them. So if you make a fool of yourself at a dance tryout or trip and fall off the bus, don't fret! You will probably never see those people again so why not throw yourself out there and try as many things as you can. You'll never have the chance again. Anyways eventually I found another dance team that accepted dancers of all levels! This was a way I met a bunch of great girls, most of whom were NOT engineers. So practice each week became a great escape for me and a chance for girl talk! I continued to stay involved with these organizations and attend events with others. I found out about a mentor program during my senior year and got involved with that. I mentored a high school student for a year which was a very rewarding experience. I also was inducted into an engineering honor society where I am now the treasurer. Tip 4. Stand out. The mentor program I joined was mostly filled with education majors who were required to do it for class. I did it because I am passionate about helping others and sought it out on my own. This was something that was brought up in interviews and made my resume stand out against others. Same thing for holding a leadership position. The key to having a stellar resume is filling it with things no one else does. This post is somehow still super long! I guess 5 years of college has filled me up with a lot to say! I hope you enjoy this post and keep an eye out for more! Feel free to ask any questions below and I will try to answer them in my next few posts! I can't wait to read more posts about your college experience and tips! I am so excited for my college years, and these will definitely be helpful. I am about to be a senior and Ive changed my major 3 times! Im finally where Im supposed to be, who knew I would take this long to decide haha. Great post! Luckily things always seem to work out in the end! Thank you! Those are some really great tips, and I think you managed to tackle a lot important things about getting through college. One of the more sensitive ones is changing one’s career path. It is very important to love your work, as it can be the difference between doing great at it, and just simply doing it. So if you’re studying something that you don’t like, you might end up feeling bad about it. Anyway, I hope a lot of people could learn from your post. Thanks for sharing this with us, Katie. All the best!